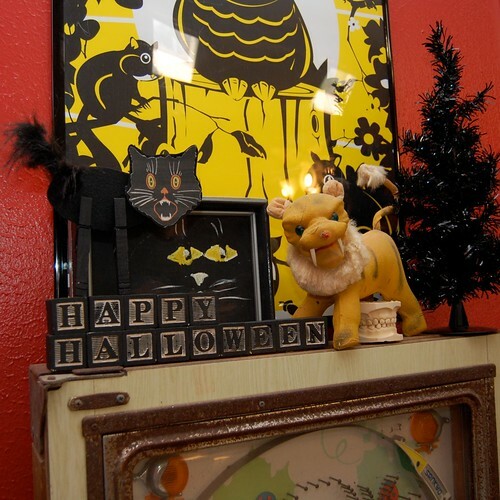 I tried really hard to wait until October to start the Halloween crafts, I really did. 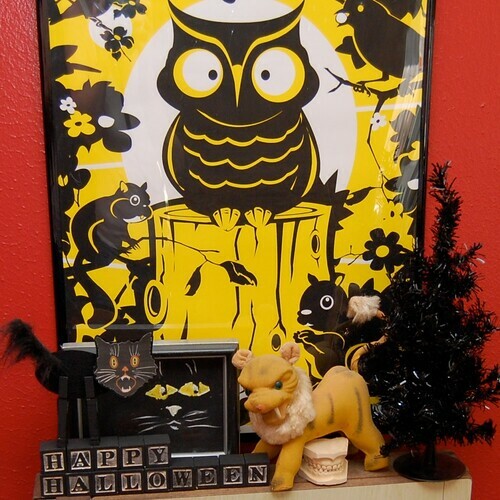 I figured if my Halloween decorations are already up, the pumpkins are all out at the grocery store and Target's Halloween department is brimming with orange and black goodness I could go ahead and start the creepy crafts. Today's craft is a double whammy, creepy and educational. I am gearing up for my annual kids Halloween party. I already bought the goodie bags all I have to do is fill them. In years past I have made soap and crayons, this year I thought the kids were old enough for a little game. Clothespins are a great way for toddlers to practice their fine motor skills - all that squeezing to open and close the pin. 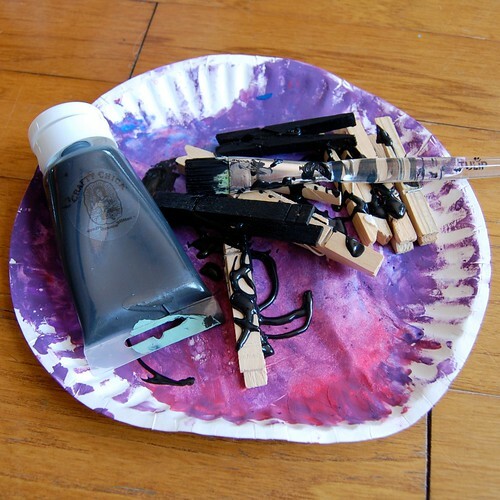 The first thing I did was paint all 4 of my clothespins black. Two pins will act as legs for the cat, one will be the tail and the other will hold the cats head. 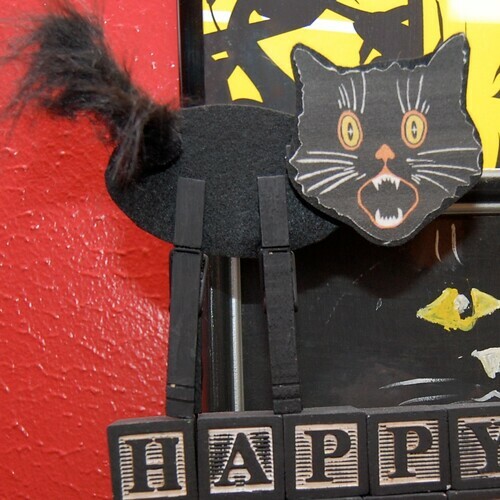 Next I cut my stiffened craft felt into the shape of a cat body. 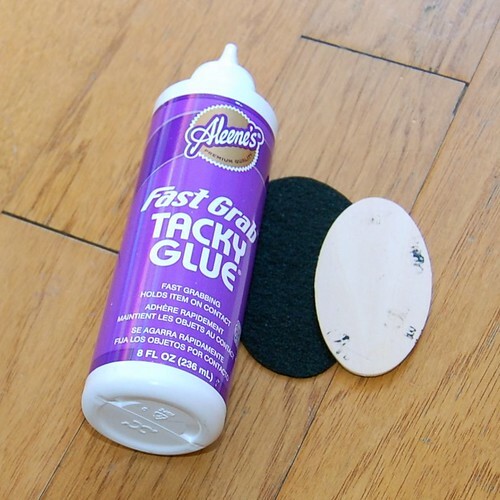 You could also use black foam or card stock for the body. The point is you want it stiff enough to hold it's shape. I found that I needed to glue a piece of wood to the back. 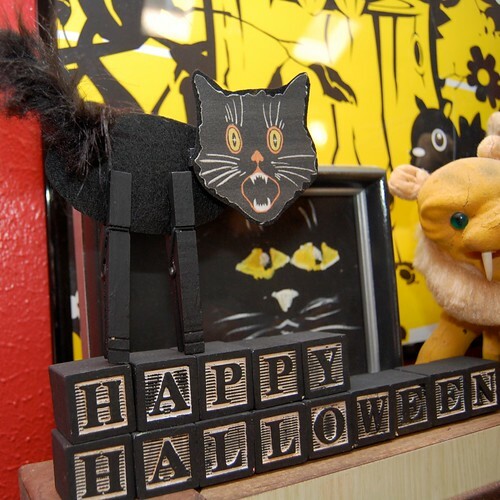 I used Tacky Glue and a thin wooden oval from the craft department. 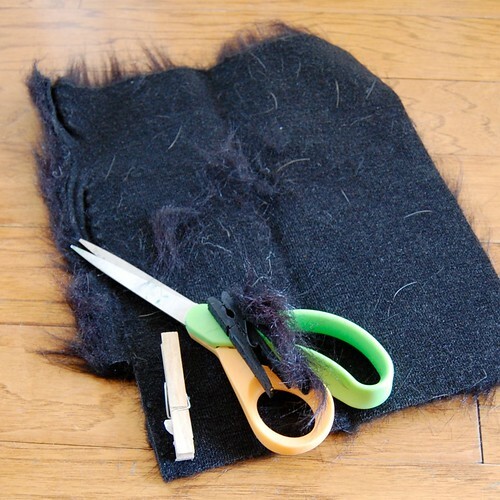 After your body is cut it is time to make the tail. 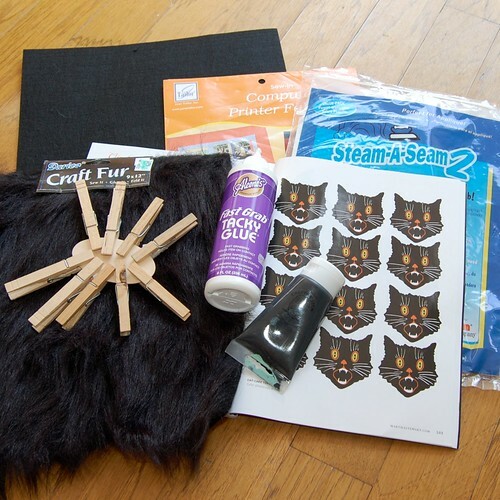 Trace the shape of the clothespin onto the un-furry side of the fun fur. Next cut out out the small rectangle trying not to get fun fur all over the place. 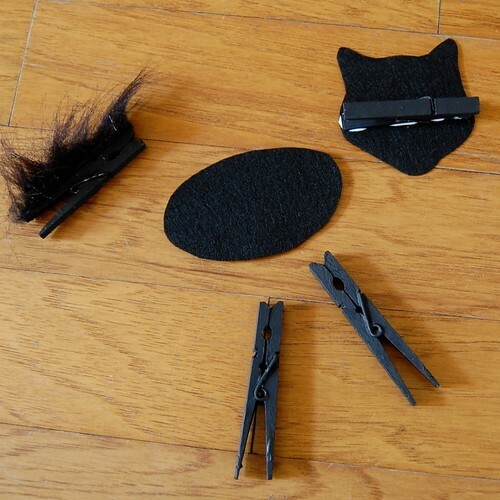 Using tacky glue attach the strip of fur to one of the clothespins. For the head I used a template from Martha Stewart's most recent Halloween magazine. Print out your head onto June Tailor fabric for printers. I enlarged the heads a bit. Peel the protective top coat from one side of your Steam a Seam and attach to the back of your cat head. Next cut a piece of stiffened felt about the size of the head. Peel the second backing from your steam-a-seam and attach to your felt. 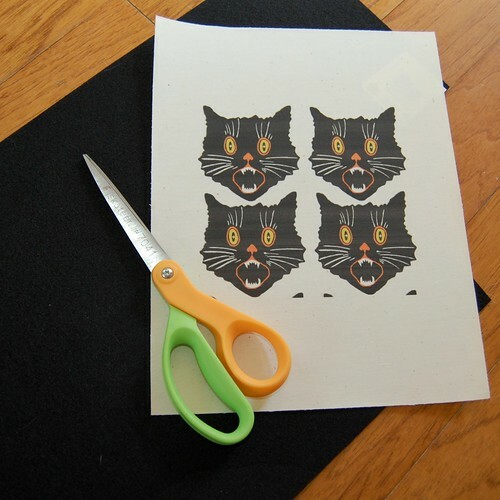 Cut out the shape of the cat head. Use a hot dry iron to fuse everything together. Once your head is ready using Tacky Glue attach it to one of the clothespins. All that is left to do is assemble all the pieces or help your toddler do it. Now I just have to make like 30 more of these and I'll be ready!